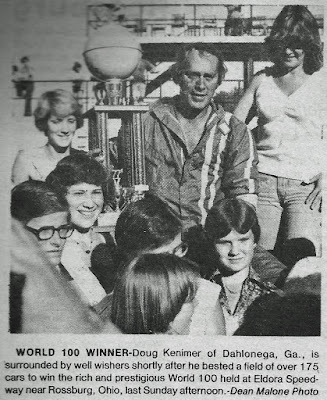 Rossburg, Ohio (September 11, 1977) – A pair of notable fellows from Georgia swept the top two spots Sunday afternoon in the seventh annual World 100 at Eldora Speedway before an estimated crowd of 10,000. Doug Kenimer, from Dahlonega, Ga., crossed the finish line first to collect the $10,000 prize and he was followed by Snooks DeFour, from Chatsworth, Ga.
Kenimer, who started on the outside of the fifth row, came out on top of 178 entries from 15 states. He got the lead on lap 31 and stayed in front the rest of the way. For the second year in a row, Tom Helfrich of Haubstadt, Ind., finished third. All three drivers piloted Camaros. 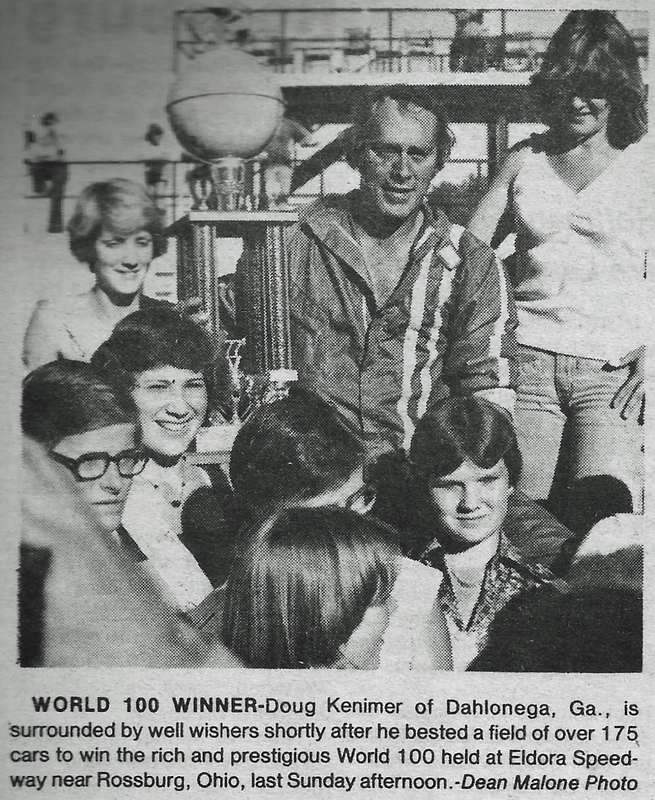 The victory for Kenimer was a satisfying one, who was leading the 1975 event before suffering a broken suspension. 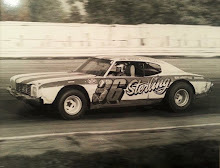 He fell short in the 1976 race as well, finishing second. Kenimer, who started in the same spot as last year’s winner, Charlie Hughes, did, moved into eighth past Bill Morton and then by Ken Walton on lap 10 for seventh. Kenimer continued to steadily advance through the field. 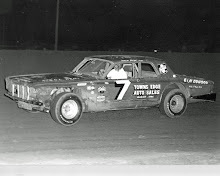 He gained sixth on lap 15 past Billy Teegarden, and moved into fifth seven laps later by passing Floyd Gilbert. 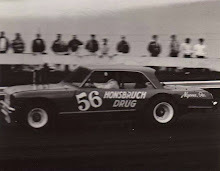 Rodney Combs would give up fourth place to Kenimer on lap 24 and Tom Helfrich would yield third to him two laps later. That left only DeFour and race leader Billy Thomas, but they couldn’t hold their spots either and Kenimer quickly gunned then down for the lead he would never relinquish. 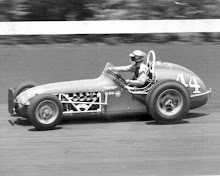 Only Rodney Combs and Junior Smalley failed to finish the race, of the 24-car field. Tire problems forced Smalley into the pits after 59 laps, while Combs suffered diminished visibility and parked his ’77 Camaro for good on lap 66. Kenimer was considered a surprise winner because he had not even pre-entered for the event. Hiss 1971 Camaro suffered severe damage two weeks ago and wasn’t fully repaired until shortly before the race. He suffered from chassis problems during Saturday’s time trials but those problems appeared to be solved when he dominated his 15-lap qualifier. The top nine finishers all were on the same lap at the event’s conclusion. 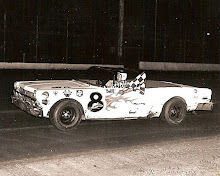 Kenimer, a 17-year racing veteran was followed by DeFour, Helfrich, 1974 winner Ed Sanger and Walton. DeFour was the fastest qualifier with a time of 20.521 seconds. His runner-up finish in the race earned him $2,200.